RTC Industries is our longest running program. It is located at 36 Co. Rd. 32, Bellefontaine, Ohio. The building is at the corner of State Route 47 West and County Road 32, which also houses the Logan County Board of DD’s administrative offices. RTC Industries is one of the day programs that RTC offers in order to meet the individual needs of persons served. Persons must be eligible for services from the local County Board of Developmental Disabilities in order to attend. Other programs housed in the RTC Industries building include: Seniors and Adult Day Program Services. If you are interested in attending the Industries, please contact your SSA. The Vocational Habilitation program at RTC Industries prepares participants for the world of work. Participants work on developing individual skills which include communicating effectively, appropriate workplace conduct, safety and on-the-job problem-solving techniques. This program provides real work experiences and job seeking skills training. The program includes completing work which is sub-contacted through local businesses and allows persons served to earn a paycheck on a regular basis. RTC Seniors, located at RTC Industries, is a retirement program providing social interaction and community involvement for Senior Citizens with developmental disabilities. 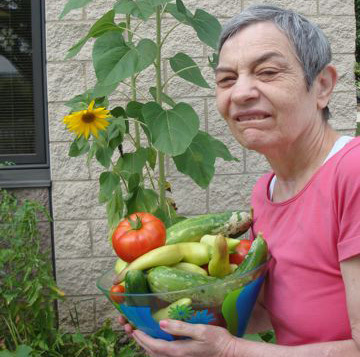 The Senior Group enjoys staying active through bowling, connecting with nature through gardening, keeping their minds sharp by playing trivia, lifting their voices together in song and various other activities. RTC’s Adult Day Services program is based at the Industries building. Individuals work on increasing their independence while building relationships with each other and in the community through trips to restaurants, parks, stores and other places of interest. The focus is on having a good day through the development of personal interests and skills. The supports provided by staff enable each person to attain and maintain his or her maximum potential.